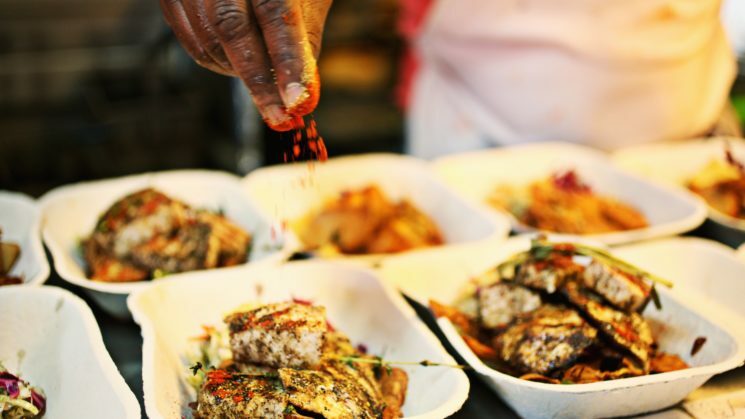 In “From Sea to Table to You,” we take an inside look at how fresh coastal cuisine is moving inland and expanding palates to the delight of chefs, restaurant-goers and food critics alike. We also reveal the behind-the-scenes stories that unfolded at electric co-ops after Florence left hundreds of thousands of homes without power. The award-winning Julie Leibach tells how researchers are transplanting lichen as a potential way to rescue the organisms from rising seas. In “Wingina, Wanchese and Manteo,” Malinda Maynor Lowery offers a Lumbee perspective on the Lost Colony and explains how the tribe’s history can inform current dialogue about the environment. North Carolina Sea Grant’s coastal erosion specialist, Spencer Rogers, updates an excerpt from The Dune Book and describes the science of dune recovery after Florence and Michael. Fisheries specialists Scott Baker and Sara Mirabilio provide more samples from their new blog series, Hook, Line & Science — including a look at where fish are moving as ocean waters warm. Plus: research on oystercatchers, the science of partnering with parasites, a new model to predict hypoxia, an update on shellfish aquaculture disaster recovery, a new all-star plant guide, and poet Dee Stribling on the beached remains of a day. We’ll even tell you about the minor social media uprising when smooth cordgrass received a new scientific name. 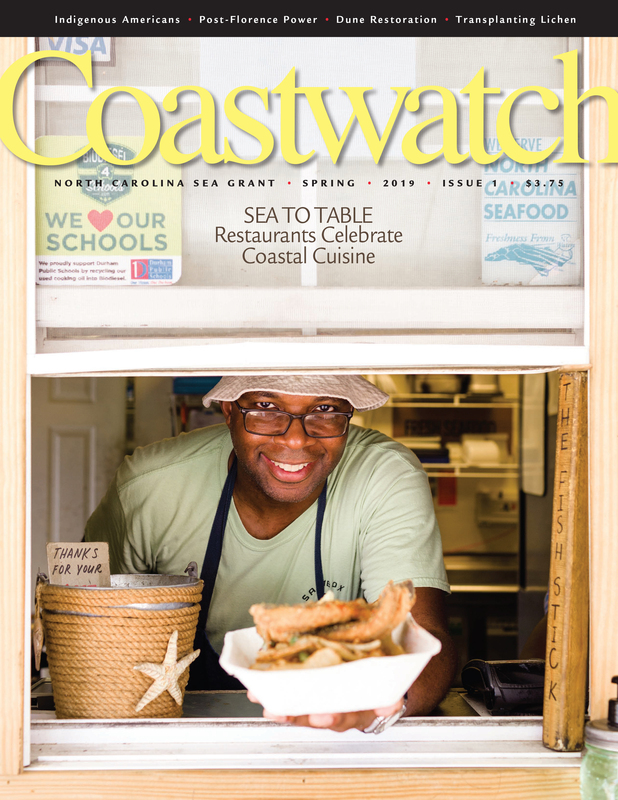 To subscribe to Coastwatch, please visit our bookstore. To request a sample copy: mail Coastwatch, NC Sea Grant, NC State University, Box 8605, Raleigh, NC 27695-8605; or email dmshaw@ncsu.edu. Many current and past Coastwatch stories are available online. PERMISSIONS: The text of some content that appears in Coastwatch may be reprinted with the following credit: Reprinted from Coastwatch, a publication of North Carolina Sea Grant. To confirm availability, email dmshaw@ncsu.edu.